When it’s about adding style and elegance to an outfit, accessories are vital. And in the case of men, the tie is as important to the shirt as the shirt is for the whole set. However, we must confess that the options for them are much lower and we must learn to take the profits from what already exists. If there is a striking complement to the male formal attire, that’s the tie. Therefore, it is mandatory to understand its usage and combine it properly with the shirt. 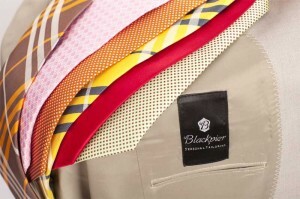 The basic rule is that any tone of shirt’s fabric will always be matched with a darker tie color. For instance, a light blue shirt with a wine or dark green tie. The key is the contrast between the color of the shirt and the tie, where one of these pieces should be more dominant than the other (it remains to consumer’s liking). It is neither appropriate to repeat the colors of the shirt in the tie nor take both in the same color. We must avoid striped shirts with ties that also have strips, unless they are from a different size. In this case the tie will look better with plain colors or with different themes according to the shirt stripes dimension. Squares turn from rural to urban, so that a checkered print shirt may combine with a tie with discreet patterns similar to the proportion of those used in the shirt. The colors and designs printed in both the tie and the shirt, will always be linked with your personal style of dressing , but it is always advisable to be updated every year to avoid being monotonous. The widest part of the tie should be the same as the widest part of the jacket’s lapel. We recommend you to check our accessories section. You can find different types of ties suitable for all occasions.